Are You Addicted to Crack? Crack is a dangerously addictive form of cocaine. A crack addiction can lead to serious health problems, as well as a number of social, occupational and financial issues. Who Answers? to get help finding crack recovery centers in your area. A trained representative is standing by to take your call. Crack is commonly heated and smoked, which allows it to reach the brain quickly. The high is intense but does not last very long, leading users to compulsively smoke crack again and again to sustain the high. Users quickly develop a tolerance to the drug and need more and more of it to achieve the desired effects. Specific signs and symptoms of crack addiction generally depend on the dosage and duration of usage and can vary from person to person. In addition to the symptoms associated with cocaine use, a person who smokes crack may be at higher risk of developing other serious physical symptoms, such as respiratory problems and lung damage. Tolerance: needing more and more crack to feel the desired effects or experiencing a reduced effect when using the same amount of crack as before. 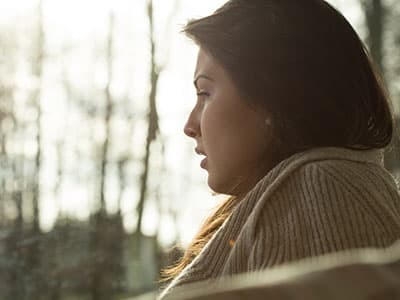 Withdrawal: experiencing withdrawal symptoms when use is stopped (fatigue, unpleasant dreams, insomnia or hypersomnia, increased appetite and psychomotor retardation) and using crack to relieve or prevent withdrawal symptoms. Continuing to use crack even though it is causing a physical or psychological problem. Repeatedly using crack in dangerous situations. Giving or reducing participation in social, occupational or recreational activities in favor of crack use. Continuing to use crack even though it is causing social or interpersonal problems. Being unable to fulfill obligations at work, school or home because of crack use. Experiencing cravings to use crack. Spending a majority of your time using crack, obtaining it and recovering from its effects. Being unable to cut down on crack use, even though you want to stop. Increased talkativeness and rapid speech. Itching or picking at the skin. Weight loss due to appetite changes. Once you decide that you or a loved one needs help with a crack addiction, getting treatment is the next step. Whether you decide to attend inpatient or outpatient treatment. Whether you choose to participate in aftercare, such as individual counseling. The duration of your stay or the length of treatment. The amenities offered by the facility. Many insurance companies reimburse all or some of the cost of treatment. If you don’t have insurance, there are ways to finance your recovery. Some people choose to take out loans, borrow money from friends or family, rely on credit cards or even use crowdfunding as a way to help pay for treatment. If you don’t have insurance or are underinsured, call the Substance Abuse and Mental Health Administration (SAMHSA) hotline at 1-800-662-HELP (4357) for referrals to local treatment centers that help people who don’t have insurance. 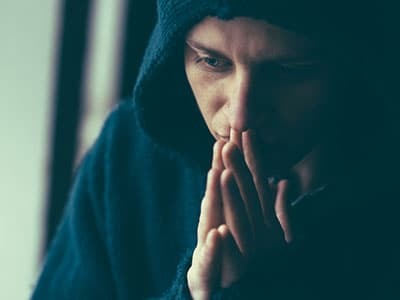 There’s always a risk of relapse, but people who reach out for help are statistically more likely to get clean and stay sober – though success rates do vary from person to person. luxury facilities. offer private rooms, gourmet meals and other exclusive amenities, while no-frills treatment centers often require residents to share rooms and have less luxurious facilities. Outpatient treatment. Like inpatient crack addiction treatment, outpatient treatment often involves a combination of individual therapy and group counseling. This form of treatment is generally useful for those who cannot participate in inpatient treatment due to their individual needs and circumstances or for those who have completed inpatient treatment and would like additional support during their recovery. Cocaine Anonymous is a 12-step group based on the 12 steps of recovery, originally conceived by Alcoholics Anonymous. To help maintain sobriety, some recovering addicts choose to participate in 12-step groups after treatment. Teen treatment. Treatment geared toward teens struggling with a crack addiction is often residential. But it may also take place at outpatient clinics. Outpatient treatment allows a teen to remain in school and live at home, but many teens benefit from the higher level of structure and supervision that residential treatment facilities offer. Dual diagnosis treatment. Some people suffer from a crack addiction and a co-occurring mental health disorder[\link]. The disorder may have preceded the person’s crack use, but it may also have been brought on by it. Dual diagnosis treatment focuses on addressing both of these issues in a comprehensive, integrative manner. The cost. Find out how much the program costs, what your insurance will cover and how much you can afford. The location. Some people prefer to receive treatment in an attractive, vacation-like setting, such as near the beach. Other people prefer to stay close to home, which makes it easier to receive support from family and friends. Staff qualifications. A program with staff that have credentials and degrees in social work, addiction and counseling will likely be able to provide a higher level of care. Program accreditation. Programs that are accredited have to meet certain standards of care. An accreditation doesn’t guarantee excellent treatment, but it can increase the chances that you will receive good care in a well-maintained environment. The program’s treatment philosophy. Some programs are 12-step-based. Many use evidence-based treatments. Still others will have a faith-based approach to recovery. Some may blend a variety of styles. Make sure you choose a program with a philosophy you support. Contingency management. programs provide incentives, such as gym memberships or dinners at restaurants, to people in exchange for abstinence and for staying engaged in treatment. Therapeutic communities. A therapeutic community is a form of residential treatment that requires a stay of 6 to 12 months. This form of treatment usually includes on-site vocational training and other services to help people return to their normal, everyday lives. Cognitive behavioral therapy. 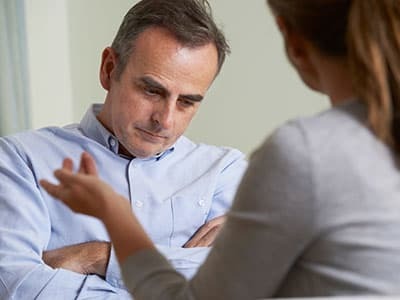 CBT is a form of talk therapy that helps prevent relapse by identifying the issues that led to the addiction and teaching recovering addicts new ways of thinking and coping with potential relapse triggers. Users identify situations in which they are likely to use and avoid these situations if possible. Long-term use can lead to paranoia, psychosis, malnourishment and heart disease. Short-term side effects of crack abuse can include the following.3 The risk of any of these side effects increases with higher dosages or more frequent use. Decreased need for food and sleep. Heightened paranoia and aggressive behavior. Heart attack and heart disease. Crack is extremely difficult to quit without professional help due to the severe cravings and withdrawal symptoms. If you need help finding a crack recovery program, call a treatment support specialist today at 1-888-319-2606 Who Answers? .
. Substance Abuse and Mental Health Services Administration (2015). Behavioral health trends in the United States: Results from the 2014 National Survey on Drug Use and Health.
. National Institute on Drug Abuse (2013). DrugFacts: Cocaine.
. National Institute on Drug Abuse (2010).
. National Highway Traffic Safety Administration. Drugs and Human Performance Fact Sheets: Cocaine.
. National Institute on Drug Abuse (2012). Principles of Drug Addiction Treatment: A Research-Based Guide (Third Edition): How effective is drug addiction treatment?
. National Institute on Drug Abuse (2010).What are the long-term effects of cocaine use?
. University of Maryland Center for Substance Abuse Research. (2013).Crack Cocaine.
. National Institute on Drug Abuse. (2010).What treatments are effective for cocaine abusers?